Oceanfront townhouse with 2 Person Jacuzzi! Best views on the beach! 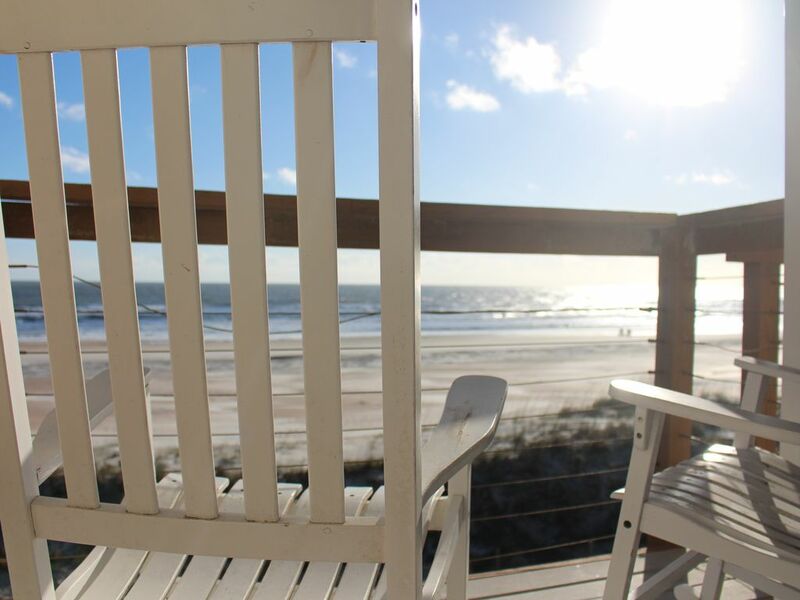 Our townhouse has the most incredible oceanfront views in St. Augustine. The townhouse is located on the 2nd and 3rd floors and words can not describe how amazing it is to open your eyes and see the sun rise-- without even getting out of bed. The entire back of the house is windows and there are two oceanfront balconies to enjoy the beach. On a given day if you sit and watch the ocean you will see surfers, dolphins, and often some adventurous person parasailing. The master bedroom has a king sized bed. The second bedroom has two twin beds. The house comfortably sleeps four, and a fifth person can sleep on the sofa. There is a full bath in the Master Bedroom with a 2 person jacuzzi tub and there is a shower with 5 shower heads in the second bathroom. There is also a half bath downstairs. Spend the days exploring the beaches of St. Augustine, and spend the evenings at one of St. Augustine excellent restaurants-- many of which you can walk to from our townhouse. We also have a high speed wireless network set up so that you can stay connected while you are vacationing in St. Augustine! You will not find a more beautiful view or a better value in St. Augustine. Strict No Smoking and No pets!